Don’t leave your safety in anyone else’s hands! Guest Recycled Parts offer a wide range of new, used and refurbished parts at unbeatable prices. All parts can be collected from our Part Department in Aston Birmingham or a comprehensive delivery service is available. 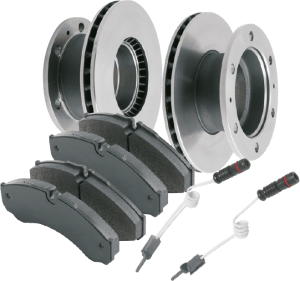 Although all braking parts you find on the market may look similar, they are not identical in terms of quality and lifespan. This will have a significant impact on the efficiency of your braking system and your ability to protect yourself and your customers out on the road. It is difficult to compare the quality of two discs or pads with the naked eye. However, parts that look identical do not guarantee the same level of safety. Don’t let anyone else make decisions about your safety! Not all pads and discs are made equal. And even if you are not responsible for changing your components, demand the best quality. This is in the interests of your own safety! 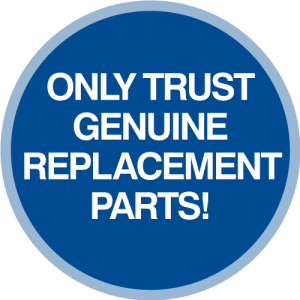 Only trust original replacement parts! It is difficult to compare the quality of two discs or pads with the naked eye. However, parts that look identical do not guarantee the same level of safety! At first sight, the adaptable brake pads appear to be of good quality. 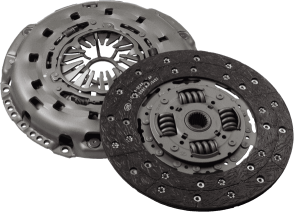 Your clutch is one of the most important operating components of you vehicle. It is responsible for ensuring smooth transmission of the engines power between the gears. The performance of your clutch is determined by a large number of factors, from driver behaviour to the weight of the load carried. Iveco clutches are manufactured to provide the best performance and durability over the widest range of operating conditions. Designed to standards of excellence. Subject to rigorous testing under all conditions. Products developed specifically for each vehicle. Manufactured with leading edge materials that optimise the mechanical characteristics of the part and ensure long life. The production of high quality air filters requires extensive industrial know-how, cutting edge technology and top quality filter materials. 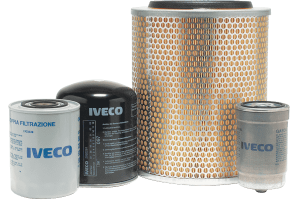 Original Iveco air filters conform to the highest quality standards and are produced with excellent materials. Filters are tested with rigorous control systems. High level performance is maintained as they preserve pressure drop, power reduction, pollution and excessive fuel consumption. Internal combustion engines consume large quantities of air, which has to be filtered in order to guarantee the proper functioning of the system and correct fuel consumption. the air filter should be replaced at the recommended interval. Based in West Bromwich, our Tyre and Auto Centre is dedicated to supporting the needs of commercial vehicle operators. Our fleet of tyre breakdown and replacement vans covers the Midlands, ensuring your vehicles are kept on the road. Our services also include wheel laser alignment and tracking. Guest Motors take environmental issues very seriously. We use environmental best practice at all times and our workforce are committed to protecting the local environment and disposing of any waste materials and scrap parts in a responsible manner. Licensed to operate waste operations described in the standard rules number SR2011No3_5kte at: Guest Trucks, 31 Shefford Road, Aston, Birmingham B6 4PQ. To the extent authorised by and subject to the conditions of this permit under regulation 27 (2) of the regulations, standard rules SR2011No3_5kte are conditions of this permit.